Here's a roundup of companies in Vermont that have recenly announced plans to hire. The Vermont Technical College will have two economic development investments that will bring about 45 jobs to the state. Apparently, Vermont employers often face the issue of not having well trained enough candidates for their jobs. Therefore, this funding should help both the economy by providing young people with the skills they need for these jobs, as well as the education system. G.W plastics accepted a grant from the state of Vermont, which will help cover capital costs of building a 21,000 square ft. expansion near Royalton. This expansion is expected to build jobs in the injection molding industry. Check out their openings. Another company who is expected to hire is the new manufacturing plant in Springfield is Konrad Prefab, they plan to employe between 10 and 15 people within the next year. Global Foundries is also looking to hire 200 people, as they are trying to fill positions in manufacturing, production, info and technology, and engineering. Go to their career site. Ben & Jerry’s had planned an expansion that will cost around $130 million, which will also add around 65 jobs. Another food environment planning to hire, is the Ehrmann Commonwealth Dairy yogurt factory. They are very excited to establish their headquarters in Vermont, and add up to 50 jobs in Brattleboro. You can read about that story here. 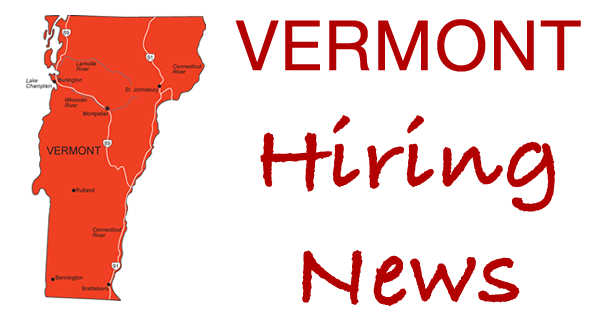 There are many job opportunities in Vermont, go to JobsinVT.com to learn more.